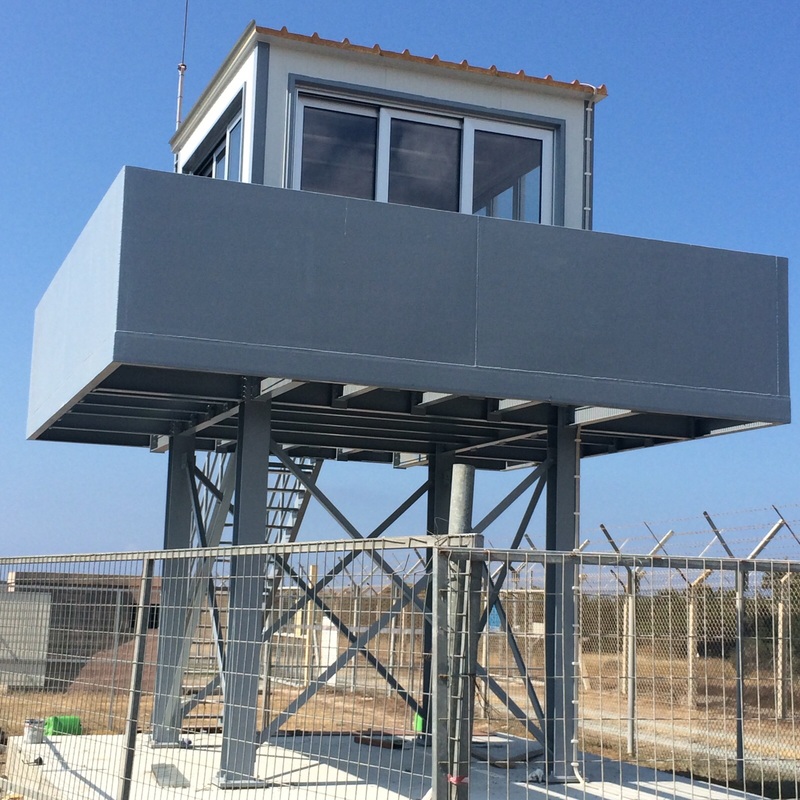 Multimarine Services Ltd was awarded by Interserve the fabrication and installation of Observation Towers at Akrotiri RAF Base and Pyla Fire Range. 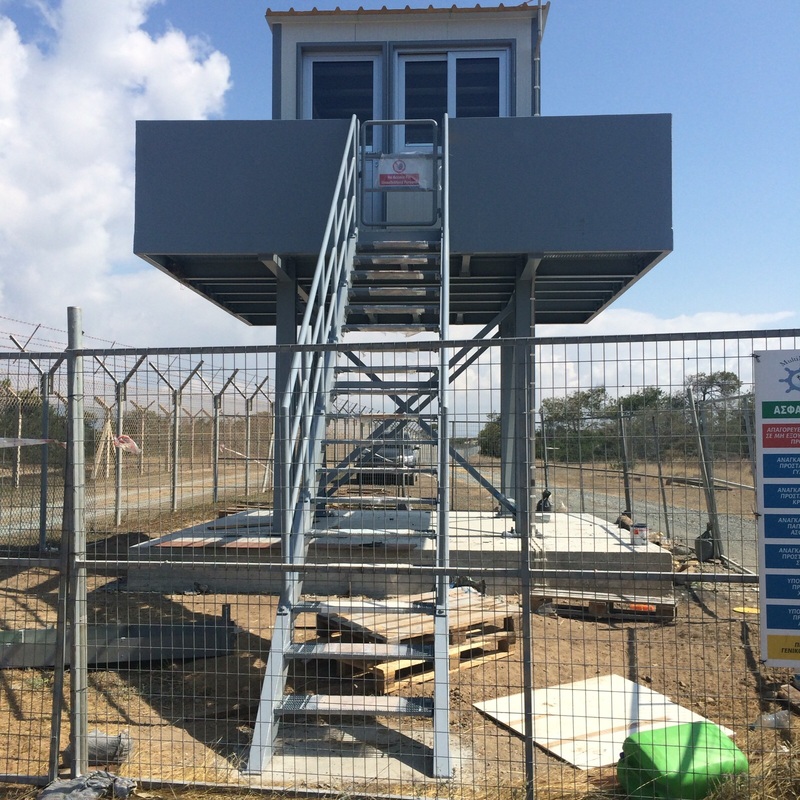 Multimarine has long and successful history in fabricating Observation/Security Towers for military use. The towers are made of high quality structural steel of grades LRA, S355 and S275. The towers have strong reinforced concrete foundations and the Watch Rooms are supported by S355 HEB and IPE beams and surrounded by S355 or LRA plates which serve as antiballistic protection. Steel ladders with anti-climb device are installed on each tower, as well as anti-lightning protection. The perimeter of each tower is secured by a 3m high fence made out of galvanized posts and having barbed wire on the top and hold by a concrete beam on the ground.